Lomé, Togo, 17h March 2017: The Ministerial Session of the First Ordinary Session of the African Union Specialized Technical Committee on Transport, Intercontinental and Interregional Infrastructure, Energy and Tourism (STC-TIIIET), convened, on 17th March 2017, in Lomé, Togo, under the theme of “Financing Infrastructure in Africa”. The Session was opened by H.E Komi Selom Klassou Prime Minister of Togo in the presence of Ministers responsible for transport, energy and tourism sectors from 38 African Union (AU) Member States, H.E. Dr. Amani Abou-Zeid, AUC Commissioner for Infrastructure and Energy, representatives of the Regional Economic Communities, the regional development banks and financial institutions, the continental specialized organizations, private sector, development partners and international organizations involved in energy, transport and tourism development. Regarding the areas of the STC, the Prime Minister highlighted the main energy, and transport projects that are included in the Programme for Infrastructure Development in Africa. He welcomed the initiative of the African Union Commission with the support of the AfDB and UNECA that aims at looking into new and innovative sources of financing in order to fast track the implantation of the projects. In her keynote speech at the Opening Ceremony, H.E. Dr. Amani Abou-Zeid, AUC Commissioner for Infrastructure and Energy, said that African Heads of State and Government solemnly affirmed their commitment to strengthen the implementation of the Union's Agenda 2063, the first ten-year plan of which is already operational. “This is why the AUC, AfDB, NEPAD, UN-ECA, and RECs jointly launched the Africa Infrastructure Development Program (PIDA) whose objective is to provide African decision-makers with a coherent framework for regional and continental development in the energy, trans-boundary waters, transport, telecommunications and information and communication technologies sectors” she added. Organized by AUC, the Republic of Togo, AfDB and the UNECA, 1st STC-TIIIET aimed to assess progress and to achieve concrete advances in the financing of major infrastructure, notably those in the Priority Action Plan of the Programme for Infrastructure Development in Africa (PIDA/PAP), through decisions and consensus on investing in the preparation, structuring, implementation and risks mitigation of climate resilient infrastructure projects. 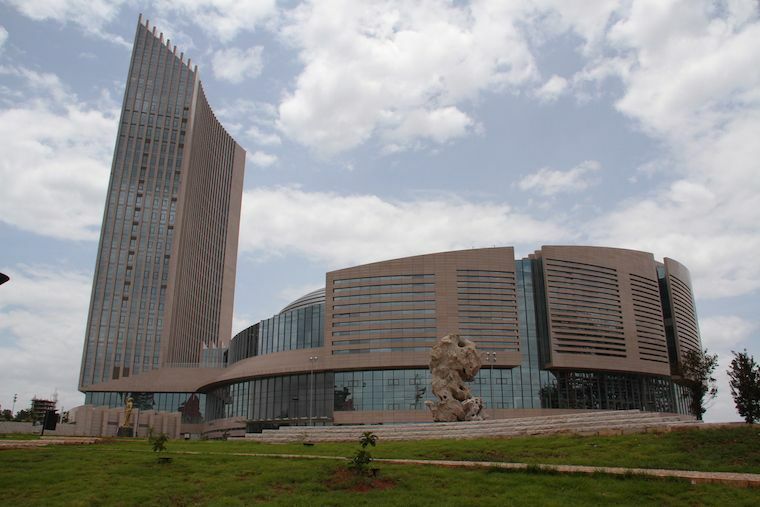 The Ministers considered and adopted the Rules of Procedures of the STC, elected the STC Bureau which will lead the work for the next two years and designate Sub-Committees that would focus on guiding implementation of the sector/sub-sector action plans and dedicate their efforts to making Africa the Preferred Destination for investment into Transport, Energy and Tourism in order to achieve the objectives of the AU Agenda 2063. They also considered and adopted the Report of the Experts’ Meeting, which held from 13-16 March, the STC Action Plan and Ministerial Declaration which include recommendations drawn from the Experts’ Report and sectorial Action Plans for infrastructure projects. The outcomes of 1st STC- TIIIET will be forwarded to the forthcoming Summit of the AU Assembly for consideration and adoption.